We love homemade pizza. It is delicious, you know exactly what is in it, and you can put whatever you want on top of it! My favorite type of crust is whole wheat and I usually top my pizza with whatever is in the fridge or pantry. 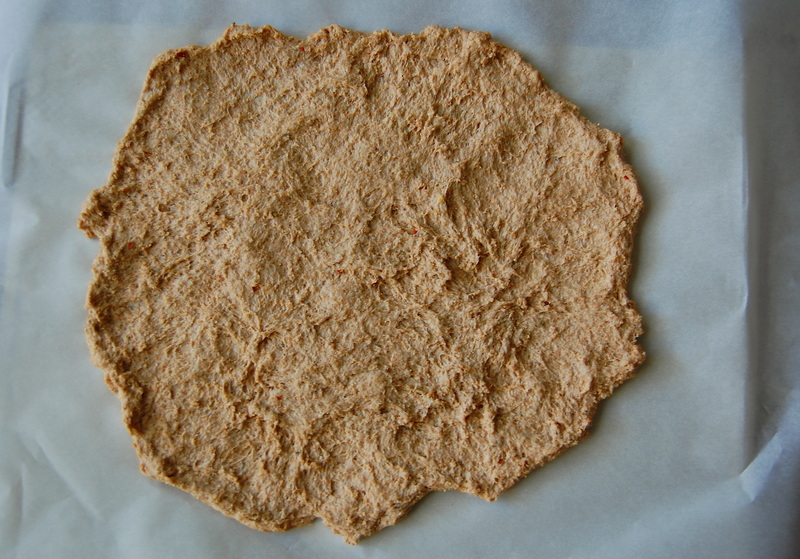 Here is a delicious whole wheat pizza dough that does not require yeast! This means that you can mix it up, shape it, decorate it, and pop it in to the oven without waiting for the dough to rise. I love this recipe because it is perfect for dinner after a long day at work. Pair it with some wine and you are set! Make a hole in the center of your dry ingredients. Stir together the water and vegetable oil. Pour the water/oil mixture into the dry ingredients. Next, I used my KitchenAid Mixer with a dough hook attachment. I left it on low speed until the dough formed a ball. If you don’t have a KitchenAid Mixer, knead the dough mixture on a floured surface for 2 minutes. Lay a piece of parchment paper on a baking sheet. Form the dough into a circle. Mine was about 12 inches in diameter. Top your pizza dough with whatever sauce and toppings your heart desires. Pop it into the oven and cook for 20 minutes or until done. 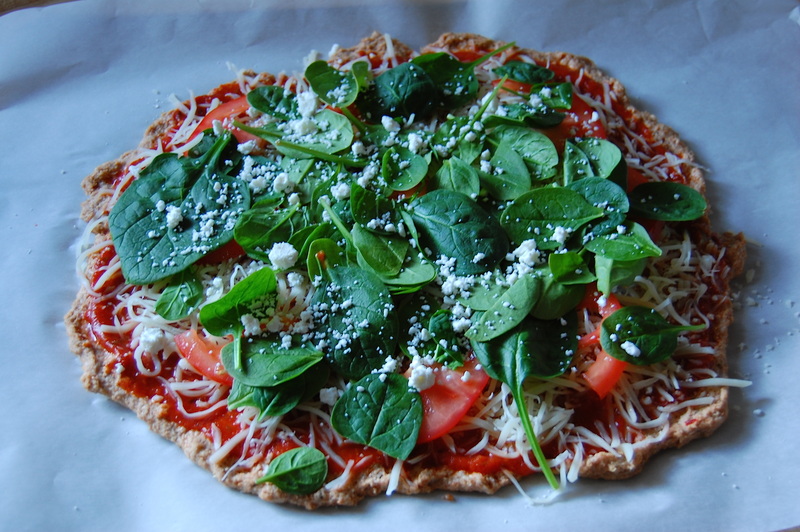 Tags: dinner, food, healthy cooking, no yeast dough, pizza dough, whole wheat pizza dough. Bookmark the permalink.